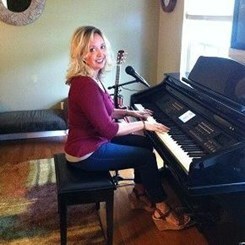 Christine Matte teaches all ages of voice, piano, guitar, composition, and flute students. Using versatile teaching methods Christine designs lessons to meet the goals and match the levels of each student, while keeping lessons both challenging and fun. Christine has earned her Master's degree in Clinical Psychology, with an emphasis in music at Edison State University. Playing for over 30 years and has been teaching and composing for over 18 years. With this combination of education and experience, Christine teaching children with special needs, and has a passion for writing music and teaching song writing. She works with interested students, showing them that playing and/or writing music can be a healthy emotional outlet while also providing entertainment for themselves and others. Request Lessons with Christine today!